I truly appreciate kindness. I appreciate people checking up on me. 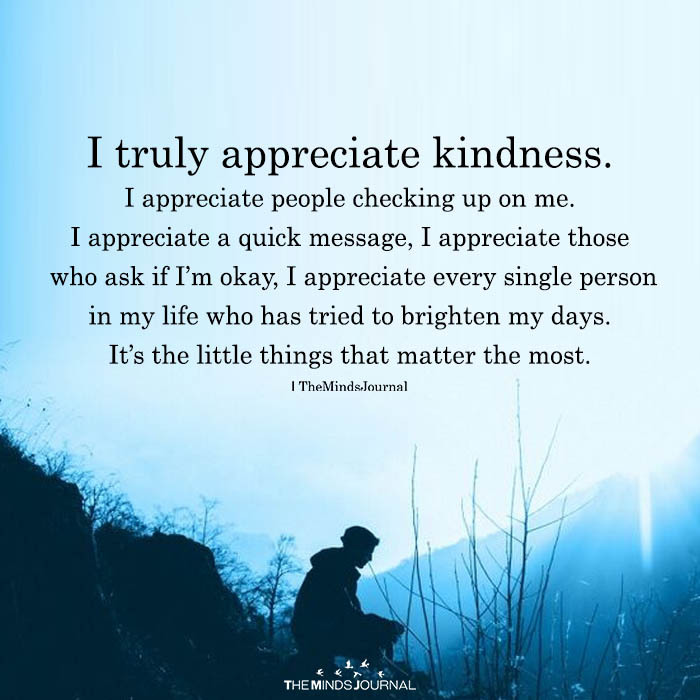 I appreciate a quick message, I appreciate those who ask if I’m okay, I appreciate every single person in my life who has tried to brighten my days. it’s the little things that matter the most. But so hurtful when you want it from someone who never do that anymore. Let it be, let it go.